Saturday, February 25th: Hobie Cat Match & Laser Fleet Races CANCELLED due to repairs on the Hobie Cats. 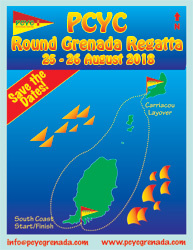 We limed with the Skippers at their briefing for the Grenada Sailing Week. It was great to see so many keen sailors! Great location, great food, great party! The last event of 2016 PCYC spent at Whisper Cove for their annual X-Mas Dinner. It was a fantastic evening with special guests Telfor Bedeau who gave us insights about Grenada’s hiking trails and Anton Zauflik who surprised us with his Magic Trick Show! Big thanks goes to Rick Feld who organized it, owner and staff at Whisper Cove Marina and all who came out to celebrate with us! Had to be canceled due to unfavorable weather conditions. November 25th: PCYC Afterwork Lime @ Umbrellas. We were having such great fun, that we totally forgot to take pictures! Thanks to everyone who came out despite the rain! The new board was elected and ideas were exchanged! You can see the full list of the executive board on our ‘About us’ page. Great turn-out, we had lots of fun on the water and some really close racing! Congratulations to winner Tomas & Belen Guerrero, 2nd Place Rene Froehlich and 3rd Place Leonardo Williams. October 21st: PCYC Afterwork Lime @ West Indies Beer Co. If you like dark beer, this is the place to lime! We can recommend their food too! Glad summer is over and we have more racers joining us for some fun! Congratulations to winner Mike Staudt, 2nd Place David Royce and 3rd Place Mark Sallem. Was fabulous, our founding members Janie and David Royce were here for holidays and joined us! Great to see so many faces again after the long summer holidays! The Regatta was a success, everybody had a great time! Congratulations to the overall winner Robbie Yearwood with Die Hard, 2nd Gus Reader with Shakin and 3rd Rene Froehlich with RF33! We had some fantastic racing going on! Congratulations to the winner Mike Staudt, Rene for 2nd and Rick for 3rd place! Big thanks to our sponsors for providing us with great prizes! Heavy rain kept people from joining us. Great turn-out! It is always a pleasure to see new faces racing! Great spot to watch the sunset and lime on a Friday. The training was well attended, our students are getting better and better! This time we had no lasers competing, but a nice group went out for some fun hobie cat match racing. Thanks to Le Phare Bleu Marina, Grenada for hosting our event! The Grenada Chocolate Fest had an evening at the beach with Bonfire. We joined them for a great evening! The skies turned from a beautiful blue to a dark grey when a squall came through. We still had fun living up to our motto ‘Be prepared to get wet’. This was a real family and friends event! We saw many new faces who raced, built some boats and had fun! Congratulations to our winners: Hobie Cat Match Race: 1st place Mike Staudt, 2nd place Stefan van der End and 3rd place D’Arcy O’Connor. Laser Match Race 1st place Robbie Yearwood and 2nd place Stephan Crowder. 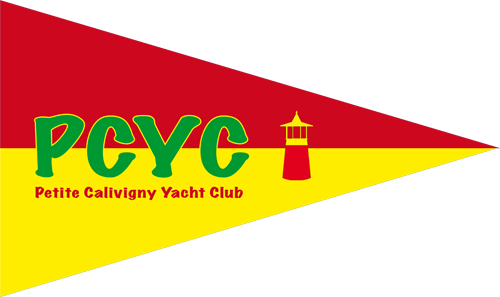 The PCYC presented Mike Staudt with a voucher from Le Phare Bleu Marina & Boutique Resort. Mike maintains all our boats, is the chase boat, lies the marks and even has enough energy left to win most of the races! The skies were a bit cloudy the winds were perfect, not too much wind and not too little! We had a fabulous time! Lucky us we even got live music by Soul Deep! Unfortunately this event had to be cancelled. Liming @ Cloud Nine is always great! Thanks to everyone who came for a training session! It was fun! We saw some new faces which was great! Everybody had a fabulous day! Great turn-out, it was great to lime with friends! It was a great day, we had lots of fun! Thanks to everyone who helped with the training! Our first event of the year brought us to the West Indies Beer Company! We had a great evening, thanks to everyone who came to have a beer with us! Click the links below for details on our previous years events.